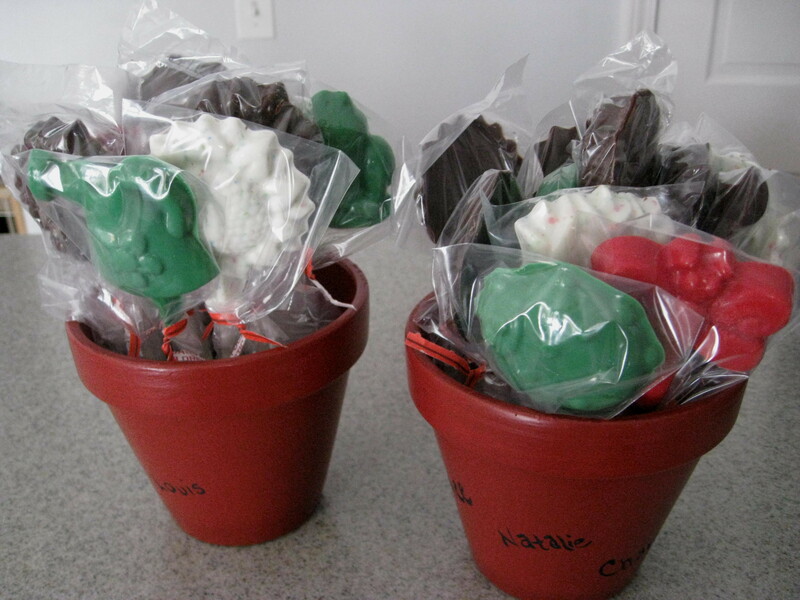 Lolli Pots – candy creations! Years ago I made everyone in the family candy as a Christmas gift – all kinds! 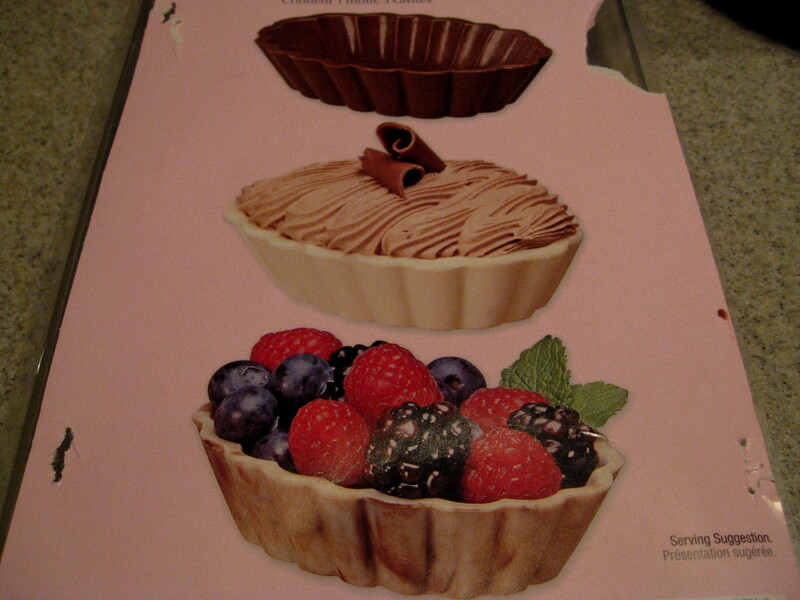 I spent hours and money on tons of molds and created all types of combinations … it was a huge success. 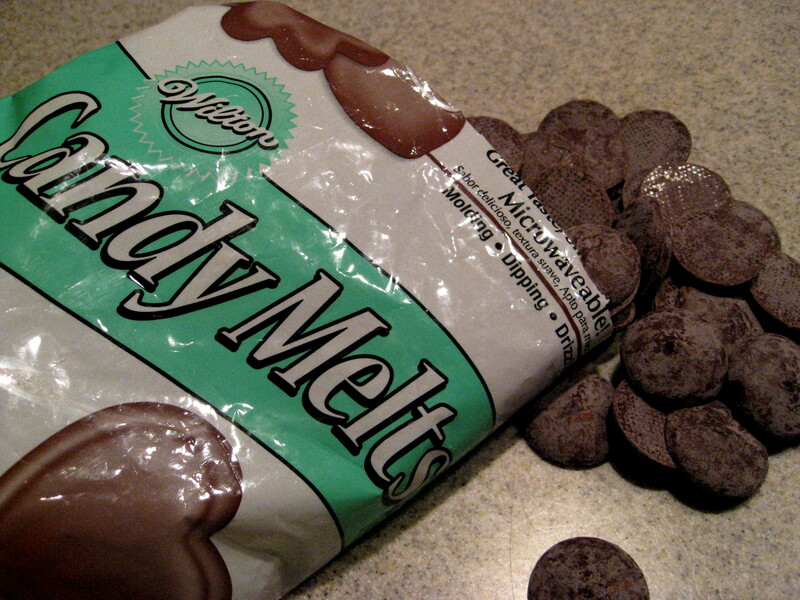 Since that time I will pick up candy melts on occasion and make some sweet treats. We are bringing a meat and cheese tray as our addition to the Christmas feast at my sister’s this year and I decided to make up some candy also. The candy melts are manufactured by Wilton and they were on sale so I couldn’t miss the opportunity. 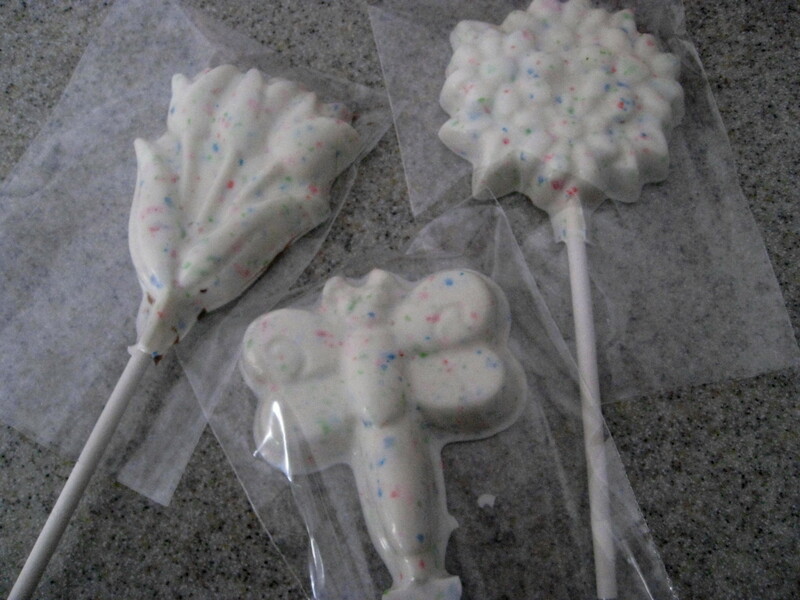 I had lollipop molds and the sticks so I created what I call Lolli Pots. I painted a terra cotta pot deep red and you can paint any design of your liking on the pots. I painted family names along with all the names of the family members. These will be gifts for the families with children. The procedure for making lollipops is quite easy. Melt the candy melts in the microwave for about a minute and then fill the candy molds with the melted candy, insert the stick and place in the refrigerator for about a half hour. Pop them out of the mold and cover with a little plastic bag and insert in pot (I placed a square of foam in the pot first). 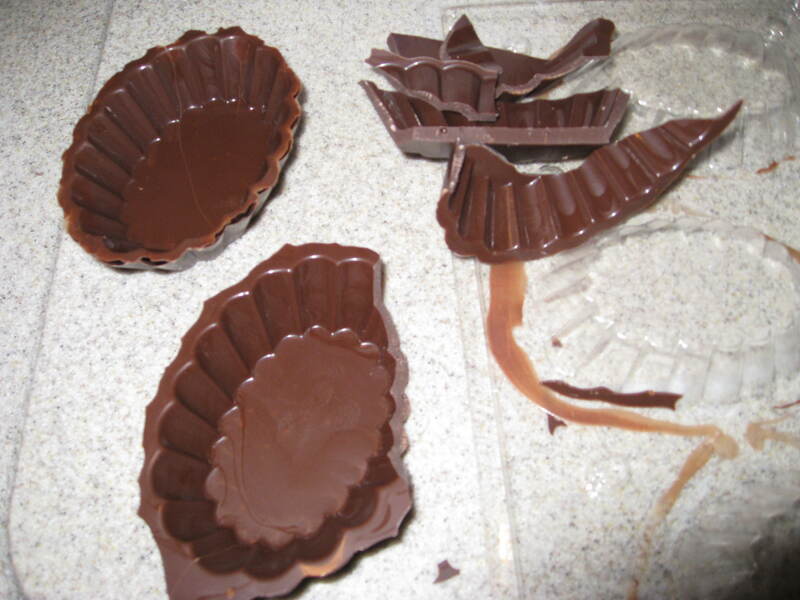 Then I attempted to make these chocolate bowls which was a bit more challenging. After a few attempts I did end up with a dozen good chocolate cups that I intend to fill with vanilla pudding and little graham cracker critters. Here is a picture that came with the mold and fruit would be good also, but at this point I refuse to go to the grocery store any more!!! 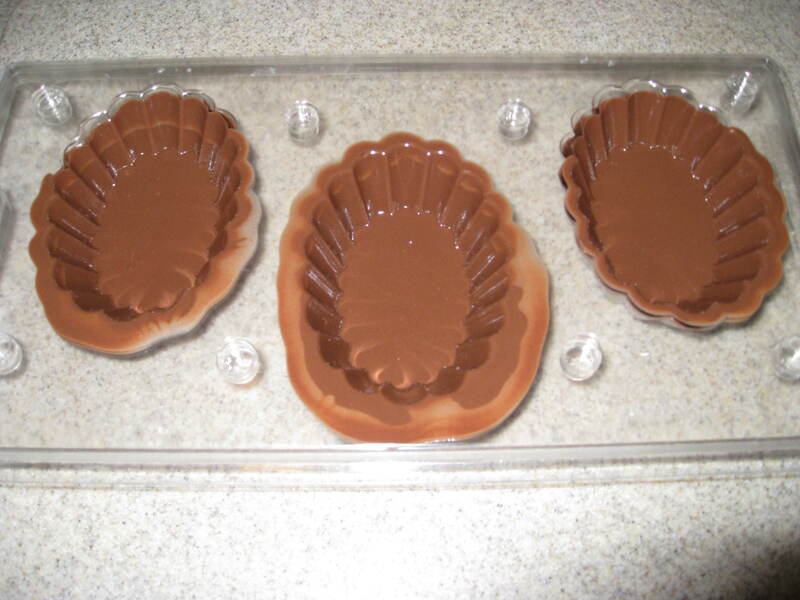 were can i find these specific chocolate bowls? 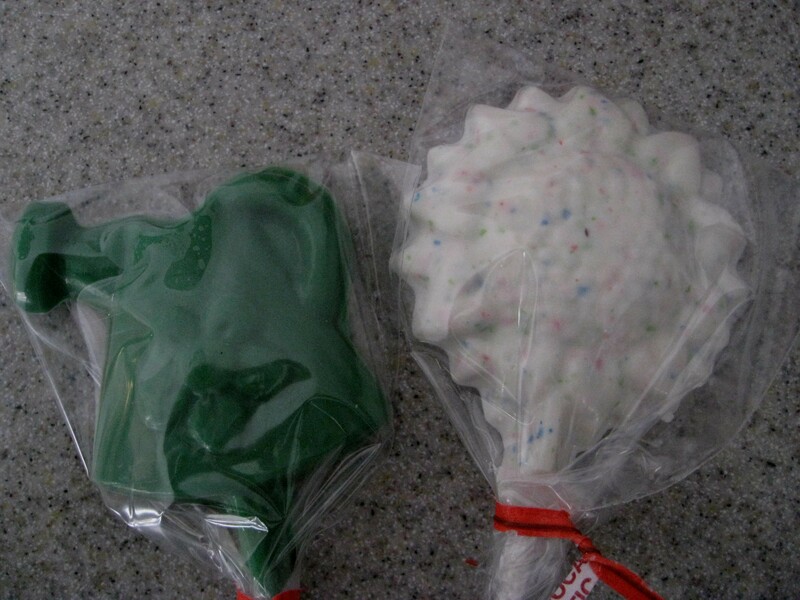 Eric – I found the mold at Joann Fabrics – they are manufactured by Wilton Candies I believe. You may be able to order them online. I found them at Walmart in the wedding/baking area for only $2.50!